”Orthopaedic Boxing Injuries”, Rick Weinstein, M.D. ”Statues, Regulations, and the AAPRP”, Bruce Spizler, Esq. “The Show Must Go On?”, Domenic Coletta, M.D. “Pearls in Neurological Evaluation”, John Stiller, M.D. “The Pathophysiology of Close Head Injury: A Beginner’s Guide to the ‘Golden Hour’”, Raymond Monsell, M.D. 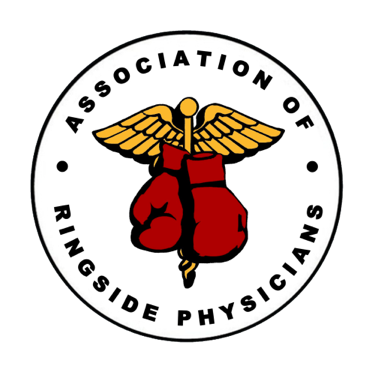 “Ringside Medicine”, Domenic Coletta, M.D. “Boxing Should Not Be Banned”, Raymond Monsell, M.D. “The History of Boxing”, Raymond Monsell, M.D. "Sparing and Neurological Function in Professional Boxers", Stiller et al. "Determining Brain Fitness to Fight: Has the Time Come? ", Seifert, et al. "Head Trauma in Mixed Martial Arts", Hutchinson et al. Managing Herpes Gladitorum Outbreaks in Competitive Wrestling: The 2007 Minnesota Experience, Current Sports Medicine Reports, 2008.